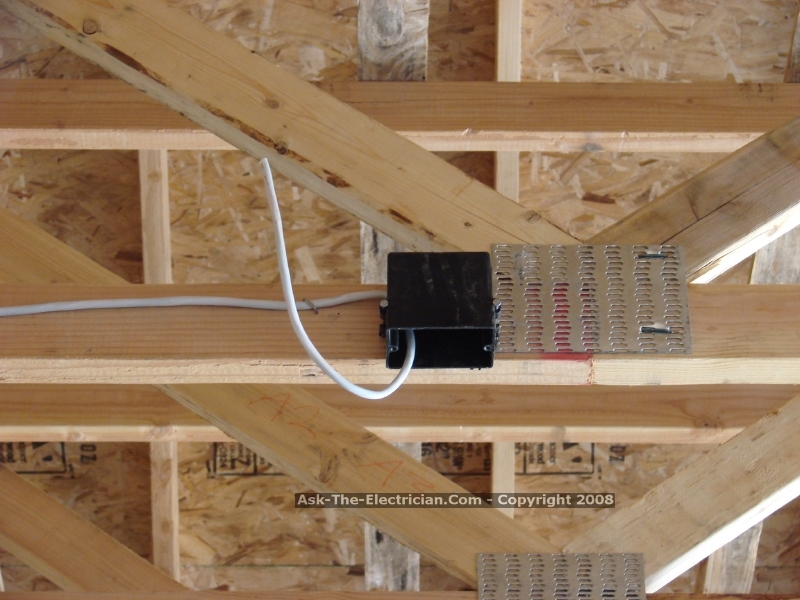 Summary: This article and the electrical wiring diagram will show you how to install a GFI using the feed through method which will protect more than one outlet. A typical application for this method would be to protect more than one bathroom, or the all of the receptacles in your garage. Below you will see some photos of recent projects that I have selected to help you with your project. 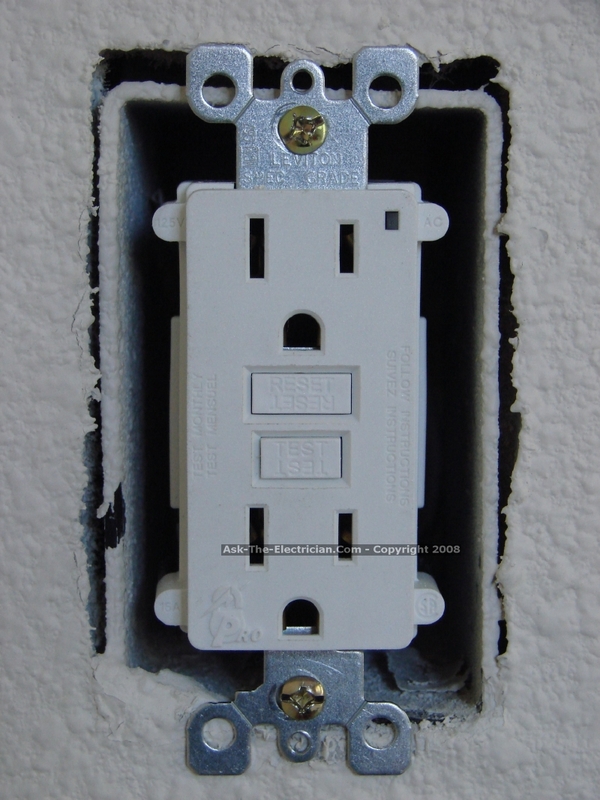 The GFCI Receptacle will have LINE and LOAD areas to attach your wires to. 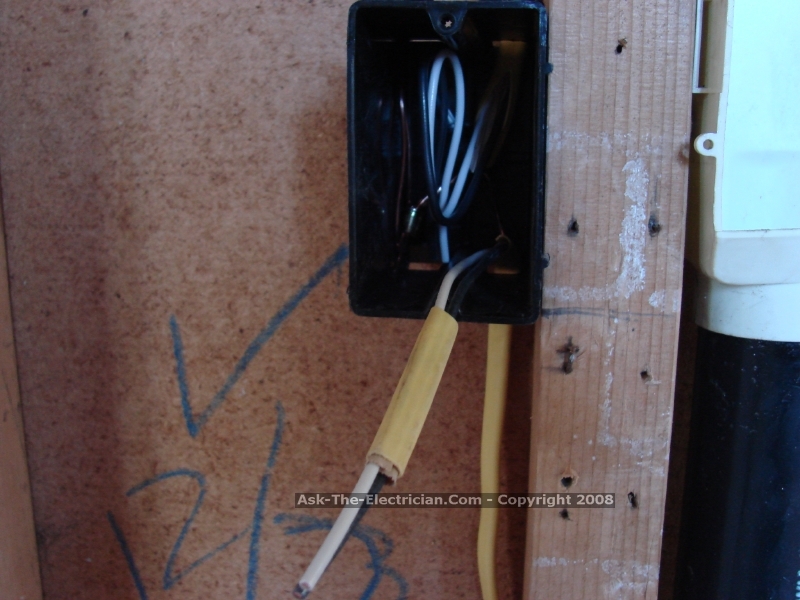 The "LINE" is the set of wires coming from the panel or power source, the "LOAD" is the wire set leaving the receptacle box to the other downstream receptacles to be controlled by the GFCI. This method is used when installing the GFCI as the first receptacle and wiring it so that it provides protection for all of the receptacles downstream on the circuit. A typical application for this method would be to protect more than one bathroom, or the all of the receptacles in your garage. Below you will see some photos of recent projects that I have selected to help you with your project. Label the electrical cable supplying the power. Folding the wires in until installation. 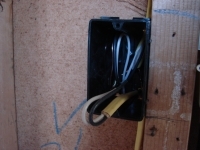 This junction box is ready for the GFCI. To install: fold wires out. Identify the set to be used for the LINE feed. Identify the LINE area of the GFCI Receptacle. Remove the Yellow Warning sticker to expose the LOAD Area and Terminals. 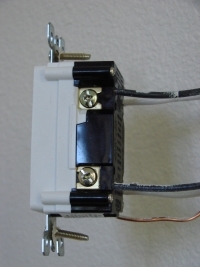 First attach the LINE Black wire to the LINE Hot Wire terminal, and the LINE White wire to the LINE White Wire Terminal. Now attach the LOAD Black wire to the LOAD Hot Wire terminal, and the LOAD White wire to the LOAD White Wire Terminal. 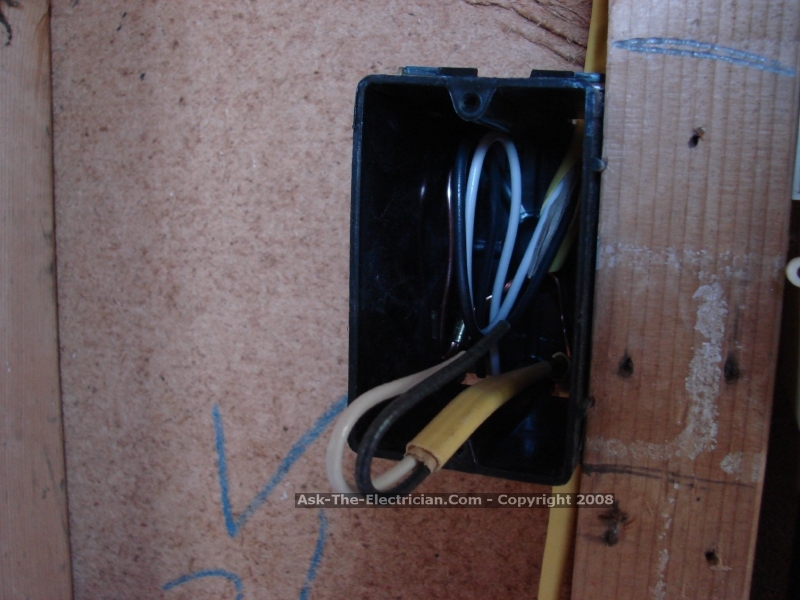 Fold the wires carefully back inside the receptacle box and install the GFCI receptacle. Mount the GFI cover plate. After all the downstream receptacles have been installed, the circuit is turned on and tested at all locations. Question: Using the feed through method, is there a limit on either the number of downstream receptacles or the distance beyond the GFCI outlet? 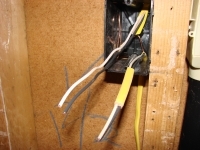 Answer: Yes Dan, It's basically the same wiring as shown except that you are wiring the LOAD side out to all your outlets and they may be connected by making jumper wires or tails from each set to one connection for the LOAD Set of wires. 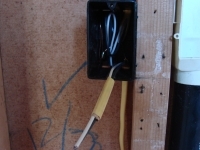 Question: Rob asks: How can I tell if the GFI outlet is a 15 or 20 amp outlet? Does it say on the outlet? 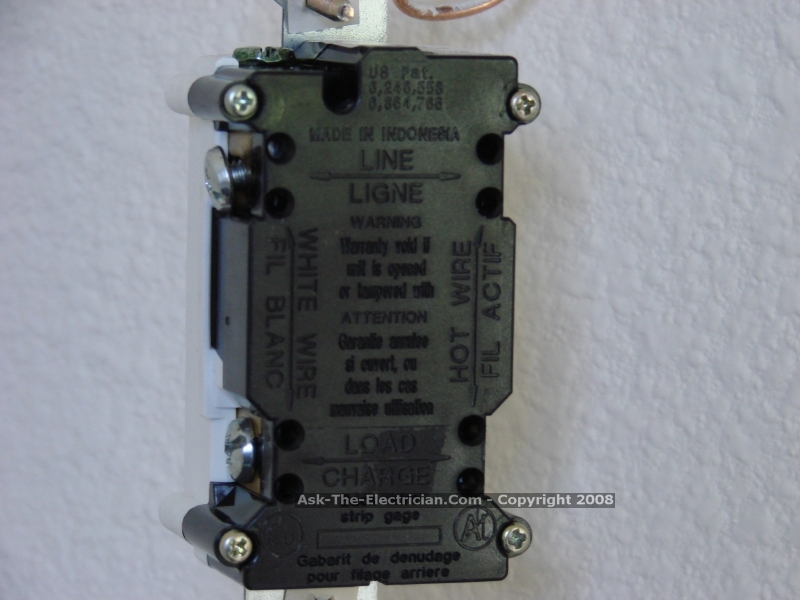 Answer: Yes - the GFCI Outlet should have a label or impression which states the voltage and amperage. 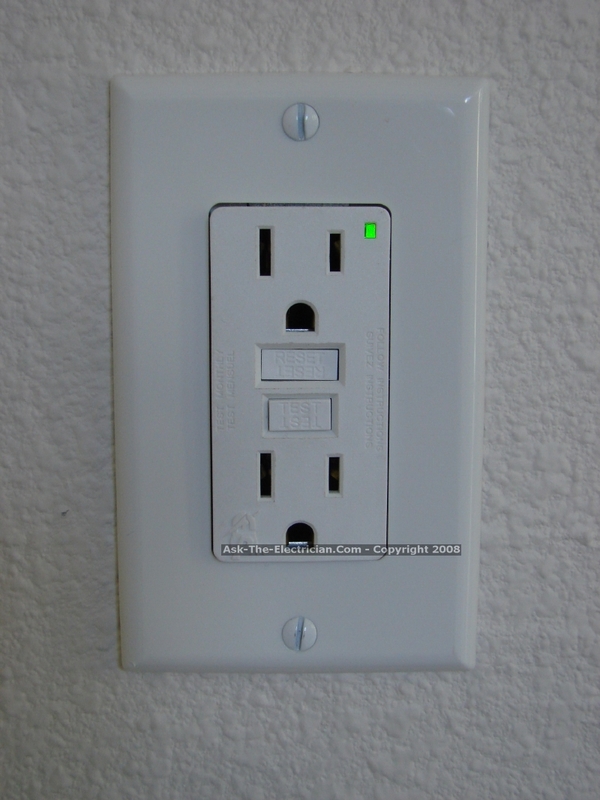 You will also notice that on a 20 amp GFCI Outlet the left or neutral plug opening will have both the vertical and horizontal opening for a 20 amp plug. You may notice that with some brands of 15 amp GFCI Receptacles have a 20 amp rated feed through, therefore a 15 amp GFCI receptacle may be installed on a 20 amp circuit. 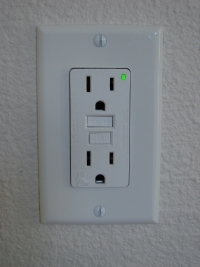 Question: Charlie Asks: I have seen the square outlets that have the same shape as a GFI. When installing downstream outlets from a GFI should these be used? This is new construction in Indiana. Thanks Charlie. 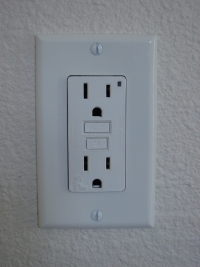 Answer: Dave's Reply: The square design that you are referring to for the other outlets is just a different decorative design and really does not have any significance to GFCI protection that is provided by the GFI outlet. 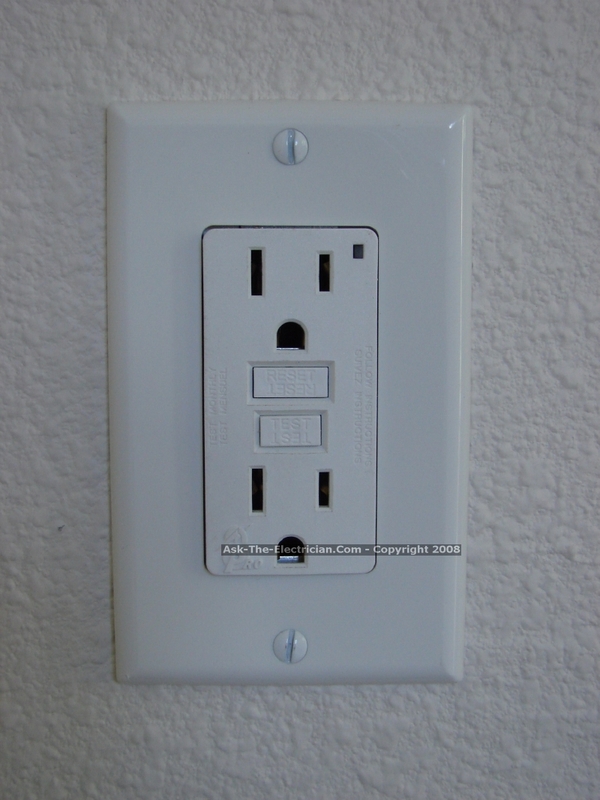 The design of the GFI outlet was adopted most likely because of the extra space that was needed for the ground fault circuit components. 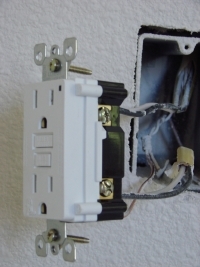 My Outlets Are Dead – Should I Replace The GFCI? 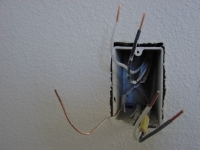 How to Safely Wire GFCI Outlets: Creating a Copper Pig Tail with Aluminum Wire, Working with Aluminum Wire, Splicing Aluminum Wire, Anti-Corrosion Ointment for Aluminum Wire, Attaching Aluminum Wire, AL/CU Rated Outlets and Switches. 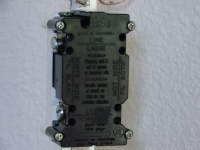 How to Wire a GFCI Outlet with a Switch – There are a few different methods that are used to wire GFI Outlets but all start with locating the Line side of the GFCI Receptacle where the power source is attached as described. 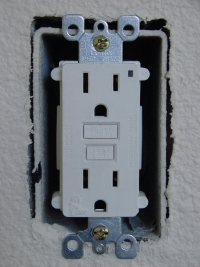 Electrical Protection Requirements for a Hairdryer Near a Sink – Keep in mind that if this outlet will be within 6 feet of a sink then the outlets require GFI protection. 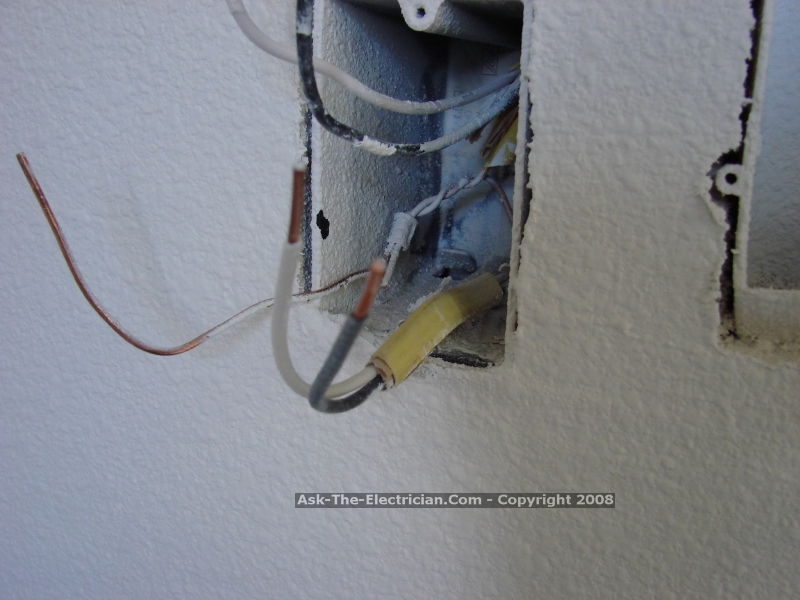 Why is the GFCI tester indicating that the Hot and neutral are reversed? We have wired thru a bathroom GFI out to a garage. Somewhere between the GFI and the wire in the garage the wiring has changed from Romex to the old style with 3 black stranded wire. I tried to wire a GFI into this wire making sure the hot went into the hot terminal, and determining that another wire was the neutral, and the third being the ground. 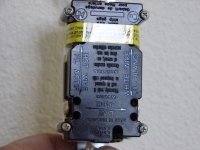 When I install the GFI this way the tester shows that it is installed correctly until we push the GFI test button on the tester and then it says that the Hot and neutral are reversed. 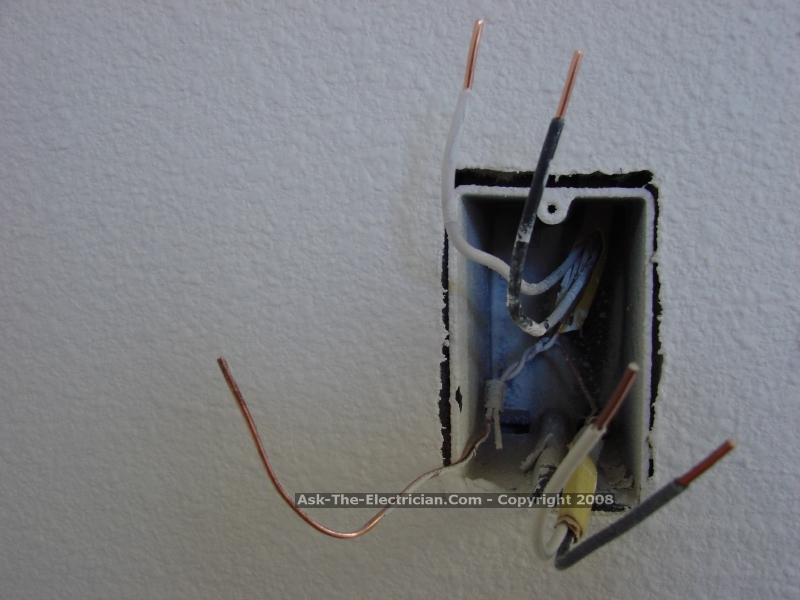 When you reverse these wires it still indicated that the hot and neutral are reversed. Any ideas? 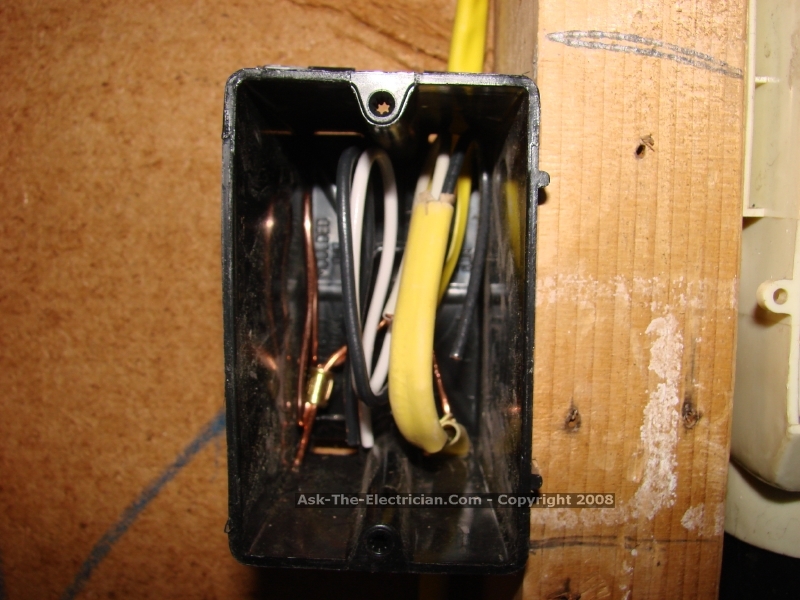 Make sure to verify the circuit wiring as it changes from Romex to the old style wiring. 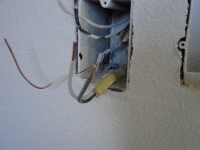 It would be best to replace the older wiring and upgrade the GFCI circuit.